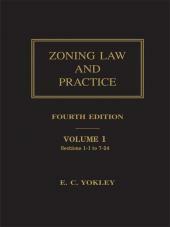 Includes virtually everything an attorney needs to practice real estate law in Ohio: two volumes of indispensable analysis, practice tips, checklists, and forms. 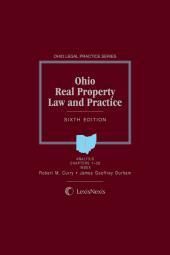 The Sixth Edition of Ohio Real Property Law and Practice includes virtually everything an attorney needs to practice real estate law in Ohio: two volumes of indispensable analysis, practice tips, checklists, and forms. This valuable resource is authored by Robert M. Curry, Partner with Thompson Hine LLP in Dayton, Ohio and James Geoffrey Durham, Professor of Law at the University of Dayton School of Law. • New! Checklists, Warnings and Practice Tips have been inserted throughout the chapters, in an easy-to-find format that provides you with critical information at a glance.  • New analysis of the U.S. Supreme Court's eminent domain decision in Kelo v. City of New London. • Downloadable file provides electronic versions of customizable forms and saves valuable drafting time. • Comprehensive and practical coverage of contracts, deeds, title, condominiums, mortgages, mechanics' liens, landlord-tenant law, zoning, taxes and eminent domain. • Separate indexes for analysis and forms help you find the information you need quickly and efficiently. • New loose-leaf format gives you seamless updates of analysis and forms. 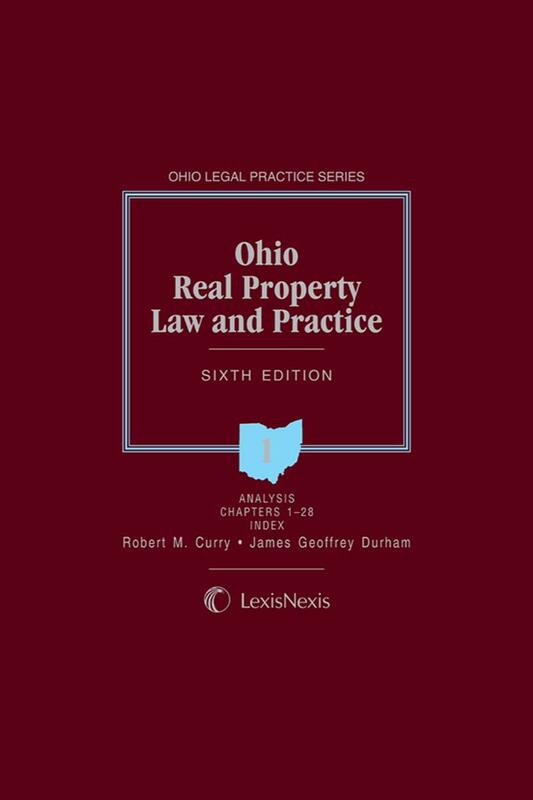 Ohio Real Property Law and Practice, Sixth Edition is an indispensable two-volume publication and timesaving tool for any attorney who advises real estate clients. 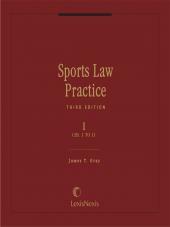 James Geoffrey Durham is a Professor of Law at the University of Dayton School of Law where he teaches courses in real property, real estate transactions, land use planning, and professional responsibility. In addition to co-authoring Ohio Real Property Law and Practice he has authored many law review and professional articles and is a co-author of the casebook Commercial Real Estate Transactions: A Project and Skills Oriented Approach. He presents CLE programs on real estate and legal ethics subjects and currently is the Vice-Chair of the Practice Management Group of the Real Property Division of the ABA's Section of Real Property, Probate and Trust Law. He received his J.D. from the University of California, Davis. Robert M. Curry concentrates his practice in real estate law with the firm of Thompson Hine LLP, where he serves as Partner-in-Charge of the Dayton office. He currently serves as counsel for the Dayton Area Board of Realtors and as Vice Chair of the Real Property Section Council of the Ohio State Bar Association. Mr. Curry is a member of the American College of Real Estate Lawyers and a former chair of the Dayton Bar Association Real Property Committee. He is a frequent lecturer on a variety of real estate topics and was named in all editions of The Best Lawyers in America. He received his J.D. from Ohio State University.